When I first started this blog back in 2010 I had no idea what I was doing. I didn’t even really know what a blog was. 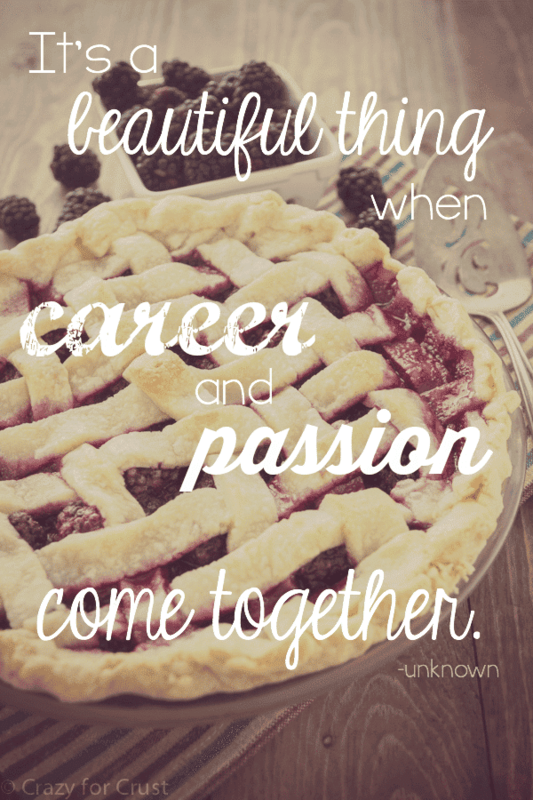 I read exactly two blogs before I started: The Pioneer Woman and Bakerella. I have no idea how or why I thought about starting a blog, but all of a sudden it was something I needed to do. When I told my husband I wanted to start a blog, I really don’t know if he had any idea what I was talking about…or what would eventually occur. I’m not one to think much about divine intervention or any of that sort of thing but I do believe in gut instinct. I believe that the mind is more powerful than we know and that, at times, it knows things subconsciously that we don’t know consciously. My gut told me to start a blog that day four years ago and I’m so glad I listened because my life has been irrevocably changed – for the better – by that decision. Over the past four years I’ve started a business from the ground up. I’ve learned everything I know about blogging, much of which I’ve taught myself (and I still have so much to learn). I’ve met people who have become huge influences in my life and who I would miss desperately if we didn’t Facebook message every day. I’ve learned how to take photos and use a big-girl camera. I’ve taught myself how to use photo-editing software and some html basics. I’ve learned about LLCs and sole proprietorships and taxes and business credit cards. I’ve traveled – alone – so much that I no longer get stomach cramps for weeks before a trip (#truth). 4 years ago I never even imagined I would write a cookbook. And I did. Birthdays are really big in my household, often to my husbands’ annoyance. I like to go all-out and usually start planning festivities months in advance. This excitement and birthday elation is why today is a really special day. No, it’s not my birthday (that’s tomorrow). Today is Crazy for Crust’s 4th birthday. 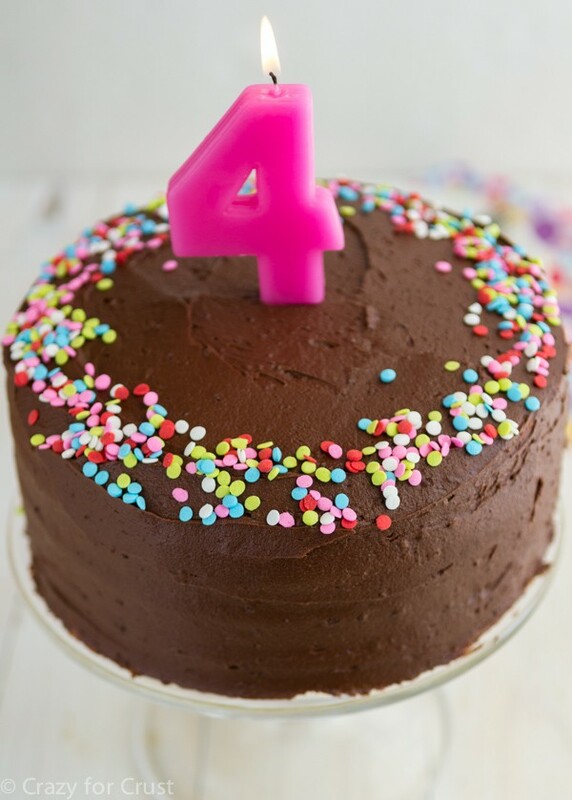 In honor of my second child’s 4th birthday (and yes, I do completely think of her that way), we’re doing a new sort of celebration. It’s a party where I talk the entire time. Aren’t you excited? In all seriousness, I get asked for blogging tips all the time. How did you grow your blog? How do you take your photos? You get paid that much to do WHAT? But it wasn’t always that way. 4 years ago when I started I posted a really horrible photo and expected people to come find me. And no one came. And I cried. But what she taught me was something invaluable, and it’s something that bloggers starting today kind of already know: Community is important in blogging. It’s actually one of the most important (and most rewarding) things about the job. Which is why part one of my series on Blog to Business is all about how to find and develop your blogging community. I’m going to preface this series with the following: I’m not an expert. I’m not the “biggest” blogger out there. I struggle to hit my numbers each month just like everyone else. I worry about my stats and my FB shares and my pins and if people like my content. I post too much to keep my numbers up and I am constantly anxious whenever I check my stats. But I do feel like I’ve learned a few things about blogging over the past four years. You might already know all the tips I’m going to share or you may know none, but I’m hoping you come away from these posts with a nugget or two of information you can use to help you. Almost everything I’ve learned has come in nuggets from other bloggers, wether they were meaning to share them or not. So, first up: community. How do you find it? How do you keep it? It’s much easier than you think. I relate finding your blogging BFFs to making friends in real life…only it’s easier. One of the jokes I always make is that I blog for a reason: I’m painfully shy. I’m an introvert’s introvert. Unless you really know me (or read my blog) you really don’t know my personality. In fact, if we’ve met at a conference, you might have thought me rude. Or unfriendly. But really? I have a negative physical reaction to talking to people I don’t know. As in, I just can’t do it. Funny story: last spring I was at BlogHer Food in Miami. I spent over an hour in the lobby of the hotel one evening standing 3 feet away from Ree, The Pioneer Woman. And I did not talk to her once because I was too nervous. That pretty much sums up why blogging friends are way easier for me to make then in-person friends. Anyway. Back to community. (See, I often wonder why anyone reads me. I tangent a lot!) How do you find a blogging community? Find your person…and your people. So, how do you find those people? The best way? Commenting on their blog. If you comment on a blog enough times, chances are, they’re going to comment back. You’ll go back and forth awhile, then maybe you’ll email or FB message back and forth. Before you know it, you’ll be talking about more than just blogging. You’ll bridge that gap between “blog friends” and “real life friends”. Because, and all bloggers know, blog friends are real life friends. We just interact with them differently than we do the gal that lives down the street. I cannot say enough how much the people I’ve met through blogging mean to me. I know of, at any given moment, at least 10 people I could call in an emergency and they’d be there (virtually) to help. I could hand over passwords and add them as admins to any social media or my dashboard and things would get taken care of behind the scenes. And, when I’m having a bad day I know I can hop on messenger and several people will make me feel better within a few minutes. Find yourself a blog BFF…or 10. You’ll be happier when you do, and your blog will grow because of it. This goes along with finding your person, but in order to build relationships on your blog, you need to be present. If you allow comments on your blog then you need to be responding to them. I have to say, as years have gone by and as I’ve gotten busier, this is one of the hardest parts of my job. When I first started blogging, I responded to every single comment. I did for a really, really long time. I’d respond to a “Yum!” with a “Thanks!” every single time. Now, as time is scarce, I read every comment and I respond to about 80% of them. If someone asks a question or even leaves a remark about the story I wrote I make sure an acknowledge it. (After all, so many don’t read the story – they’re there for the food!) And if I don’t have a lot of time or I get a lot of “Yum!” comments, I try to visit the blogger and then comment on or share a post of theirs. And that leads into sharing. We’ll talk more about social sharing later, but I always try to visit bloggers who comment. I may not get you every time you comment, but I try as hard as I can. I try to comment on your post or share to social media. In blogging, like in life, the golden rule applies. You won’t ever find your person if you’re not commenting, responding to comments, or sharing. Your community won’t grow if you’re not doing those things. So if you take one thing away from this post – that’s your nugget. Facebook groups weren’t around when I started blogging (or maybe they were, but I didn’t know about them). Two years ago Ashton and I started Online BlogCon (now run by the amazing Karyn and her team). One of the things we started with it was a Facebook Group. It was my first group and I cannot even explain to you the world it opened up to me. Facebook groups are like chat forums. You go, ask questions, get answers, cheer people along, support people, you name it. They’re perfect for bloggers because it’s like going to a meeting, except it lasts 24 hours a day. There is always someone there to ask (or answer) questions. In your Facebook home feed, on the left side, there is a section called Groups. Click on that and search for some. See what your friends belong to, what’s local, what’s suggested. Join a few – and then find a program to time you on Facebook. I’m not joking – whole days have passed and I wonder what I’ve done. Then I remember oh yeah…I was on Facebook. Depending on where you live, I bet you can find a bunch of bloggers who live there too. Over the past couple of years I’ve been shocked at how many food bloggers live within an hour drive of me. Check with your local newspaper to see if they have a blogger community section. Search for local Facebook groups. I can’t tell you how awesome it’s been to have a local blogging community. We don’t get together often, but when we do it’s like 3 hours of non-stop blog talk. And it’s amazing. If you can find a conference to go to, do it. (I found this list but I have no idea how accurate it is.) I’ve been to Bloggy Boot Camp, BYBC, and BlogHer Food. Of the three, I learned the most at Bloggy Boot Camp. BYBC was small and intimate and full of friends so it was a blast, and BlogHer Food…well. I come home from BHF with a suitcase of swag and memories of time with friends, but not so much learned information. Meeting people in “real life” solidifies online friendships. That’s the best part of any conference I’ve attended – seeing friends I never get to see. Actually being able to hug them and talk to them in the flesh. And knowing that we’ll all take pictures of our food before we eat it and no one will look at us funny is kind of a nice perk. I can’t talk to other social media for this purpose, because I’m a dud when it comes to Twitter, but if you like twitter, check out my friend Carla’s reasons for Understanding Twitter and why you should use it. G+…same thing. I don’t use it much, but Jenny does and she’s got tons of posts about it. So you have your community…but why is that important? Now what? 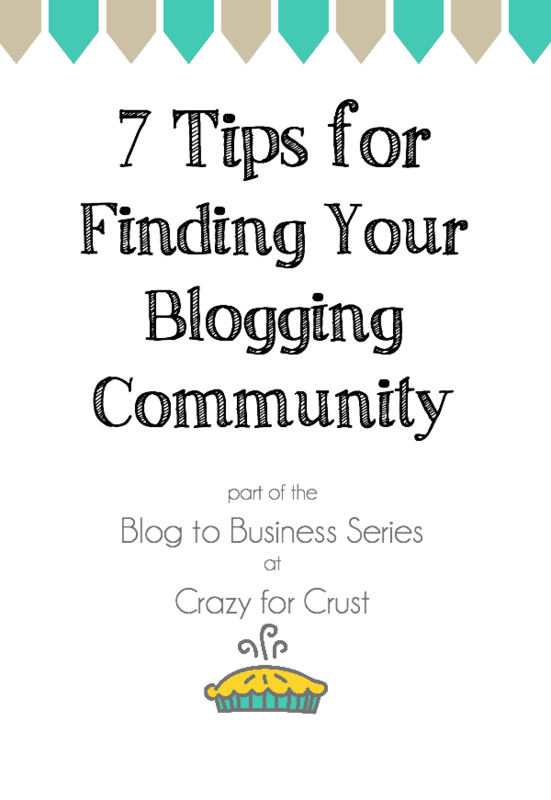 I always scoffed at the term “blogging community” until I found mine. I think people figure that their blog is their blog, so why do you need someone else? There are so many reasons why you need blogging friends and co-workers. When you’re a blogger, you need people around you that know what you do. It’s like any profession – people make work friends. They call their work wife and complain about their boss or ask for advice. Your husband or wife can only listen to you gripe about blogging so much before their eyes glaze over. (I liken it to when Mel tries to explain fantasy football to me.) A blogging friend is the perfect person to listen to your worries or hash something out with you…and they get what you need because they need it too. The best thing to come out of my community is support. We can ask questions of each other, bounce ideas off each other, and brainstorm together. You need community to grow your blog. If I didn’t have loyal friends (fellow bloggers) coming to my site every day and pinning and sharing on social media, my numbers would go down. In turn, I support them the same way. 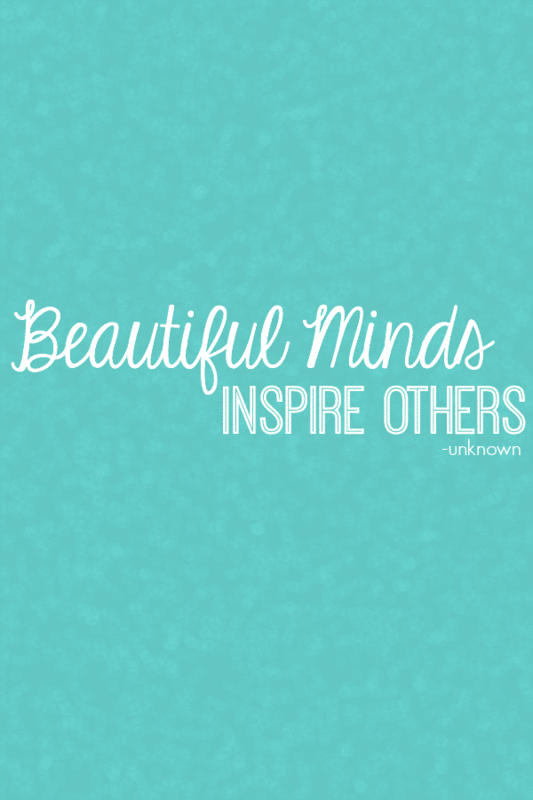 My fellow bloggers inspire me every day to keep doing what I’m doing. Without the support of other bloggers in my community, I wouldn’t have had the courage to write a cookbook. I wouldn’t even have the courage to write this post! 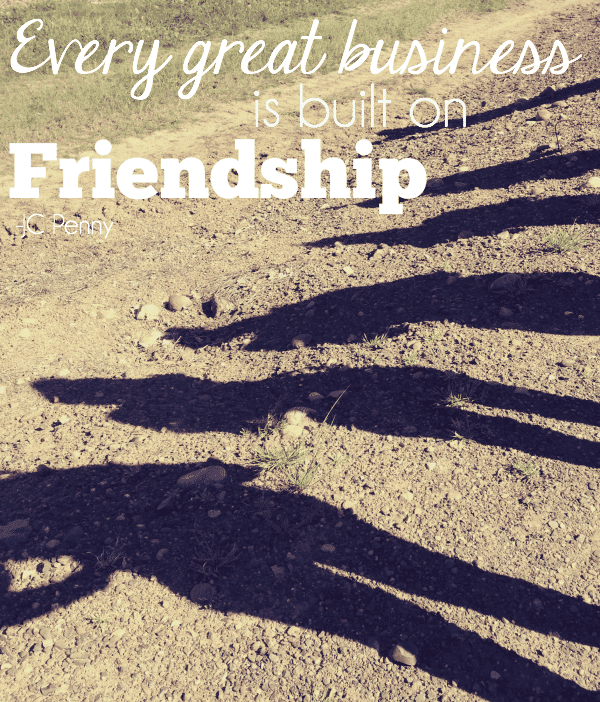 As JC Penny said, every business is built on friendship. And I know that mine is. I think I would have turned into a grumpy person and quit blogging a long time ago if it wasn’t for my friends supporting me. Well, that turned out way longer than I thought it would. But, then again, you kind of expect that from me at this point, right? If there are other things you want me to talk about, just jot me an email! And if you want a ton of resources, check out Lori’s post of over 150 links on how to be a food blogger. Tomorrow? The recipe for that cake!! Have a great weekend! This whole post really hit a note with me!! I just started my blog a few months ago, I had been tossing the idea around in my head and then one day just did it! And I’m so happy I did, but sometimes it’s overwhelming and I have no idea what I’m doing! Reading this left me reassured and gave me some great tips! Thank you so much for sharing! Thanks for reading, glad to help! Beautiful website, and nice to get a “behind the scenes” of what it takes to get it right. I’d love to learn more about your photography – just stunning. Thanks for sharing!